The latest Olympus malate complex CREA Loading DB-6 system is a cheap and effective dietary supplement for strength and muscle mass. It has been shown that even small doses of the measure allow you to get a strong anabolic effect. Malate is now one of the most effective forms of creatine monohydrate far surpassing traditional. Malate (Olimp TCM) is next esterified creatine is best absorbed form of creatine. 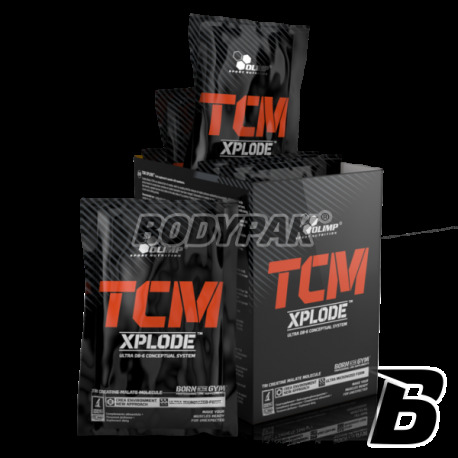 Xplode Olimp TCM is a high quality creatine malate, whose molecules are formed by coupling molecules with molecules of creatine products citric acid cycle, and in muscle cells may be the backup pool of creatine used in the time of increased demand. At the same time, the particles malate facilitates the production of phosphate radicals, tying them with creatine and synthesis of active anabolic and ergogenic phosphocreatine, preventing painful muscle spasms and alleviate chronic, nagging muscle aches. 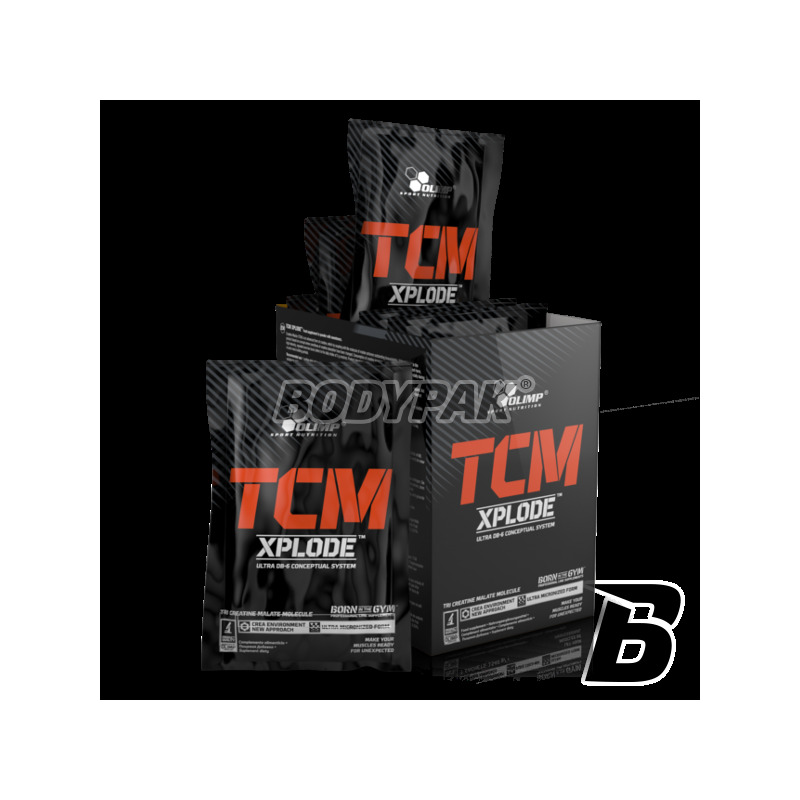 Olimp TCM Xplode much more soluble in water than the traditional monohydrate, and the solubility is of great importance for the process of absorption, because the body takes from the gastrointestinal tract only what remains in the dissolved state. Stosowałam okołotreningowo przez około 3 miesiące chodząc na siłownie i trenując sporty walki, co najważniejsze NIE NABIJA WODĄ co jest ważne w tych dyscyplinach kiedy kontrolujemy wagę. Efektami byłam tak zaskoczona, ze bez wahania polecam ten jablczan wszystkim fighterom! W połączeniu z dietą, carbo/vitargo pomagającymi wchłanianie kreatyny i innymi suplementami ten produkt czyni cuda. bardzo dobra kreatyna ,Jakość mięśnia się poprawia z treningu na trening POLECAM!! !